12.2 Megapixels for stunning prints as large as 16 x 20 inches. Ultra-fast start-up with fast autofocus and shooting. 5x Wide-angle Zoom-NIKKOR Glass Lens has a versatile zoom range that gets you close to the action while still capturing expansive landscapes. Nikon’s Optical VR Image Stabilization compensates for the effects of camera shake for sharper, clearer pictures. High ISO up to 6400 capability helps give you sharper results when shooting in low light or capturing fast-moving subjects. ISO 3200 and ISO 6400 are available at FULL resolution. 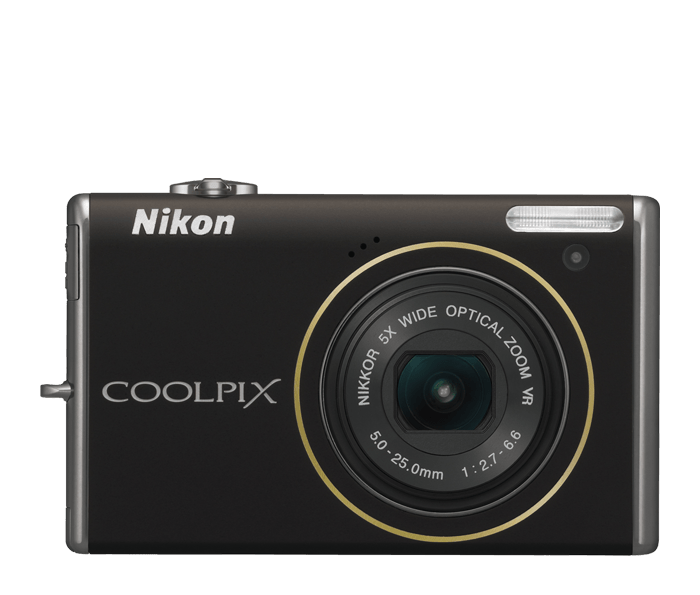 Incredible, Bright 2.7-inch High Resolution Clear Color Display™ LCD makes it easy to compose and share your pictures. Subject Tracking will track a moving subject to ensure sharp focus. The camera will automatically track your subject—even if they temporarily move out of the frame. Smile Timer, Blink Proof and Blink Warning makes sure you’ll always catch the decisive moment when your subject smiles and Blink Proof function shoots two pictures and automatically saves the one in which the subject’s eyes remain open. Blink Warning, when activated alerts you that the subject may have blinked and allows you to retake the photo. Quick Retouch adjusts contrast and color vividness automatically and automatically activates D-Lighting.